A custom packaging label is an important element of any promotional campaign. It doesn’t matter, whether the business is a multi-million dollar company, or a start-up, everyone invests in these labels to promote their services or products. These labels are available in a variety of types to suit various business requirements. As with any other promotional material, the labels used in certain industries are stringently governed by various regulatory requirements. As known, there are several custom label manufacturers in the US, who have wide experience in meeting client requirements, as well as adhering to stringent requirements. Performance Label Company (PLCTX) is one of the leading custom label manufacturers in the USA. The company has been delivering several types of promotional labels, since past many years. Are you intrigued to know which PLCTX product is right for you? Read the post to know answers. The following are a few custom label products provided by PLCTX, which has immensely helped businesses in the USA to improve their promotional success. 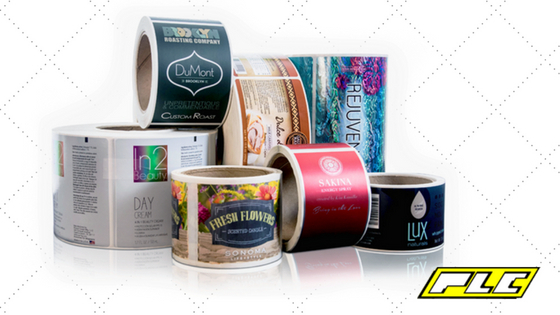 Digital Labels: These labels are digitally designed, which help achieve high-resolution prints. There are no limitations regarding the choice of colors, shapes, or dimensions for designing these labels. PLCTX designs and manufacturers these labels for businesses, such as electronic controls, appliance manufacturers, colleges and universities, pharmaceutical manufacturers. Pressure Sensitive Labels: The labels are also known as PS labels, and are suited for all surfaces. A slight pressure is applied to these labels while sticking, thus they get their name. Also, this type of application helps to avoid bubbles or wrinkles. These labels are gaining popularity across various industries due to their ability to resist environmental factors, such as moisture, temperatures, and liquids. PLCTX excels in designing pressure sensitive labels, which can be easily placed over containers in unique shapes. The company has been delivering pressure sensitive labels to its clients across food and beverage, pharmaceuticals, residential maintenance product manufacturing, and several other industries. Holiday Labels: What if the fervor and spirit of a holiday season can be felt each day of the year? PLCTX helps its clients to invigorate these festive spirits through custom holiday labels. The labels can be designed in any size and shape, are waterproof, microwave and dishwasher safe, and can be written with a permanent or temporary marker. The holiday labels by PLCTX are becoming the regular feature over home baked products, ale, home brewed beer, wine, etc. After knowing about these best-selling custom labels provided by PLCTX, you may still have doubts regarding their implementation. Isn’t it? In such cases, it is always better to approach the manufacturer directly. The company not only provides custom labels in various specifications but also print custom labels online.